If we can’t print it in house we can still get the job done! 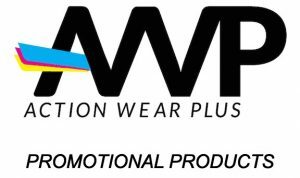 Action Wear Plus is part of a promotional product network of suppliers that gives us the opportunity to source whatever your corporate event, wedding, or organization might need. From personalized pens to tents and everything in between if you can put your name on it we can source it. Click on the link below to begin searching, quoting, and buying your event’s promotional items at the click of a button!